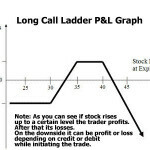 The Long Put Ladder Strategy is a trade where you have a mildly bearish view on a stock. 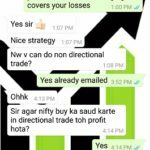 Read to know how to trade it well. Recently I wrote an article on Long Call Ladder, today I will discuss the Long Put Ladder. The Long Put Ladder is exactly opposite of the Long Call Ladder. Therefore the view of the trader should also be opposite. In the Long Call Ladder the trader was a bit bullish, in the Long Put Ladder the trader is a bit bearish. In both trades the trades has a bearish view on volatility. Both strategies are limited reward but unlimited loss strategies. Why is the trader also bearish on volatility? We will know shortly. How to Trade the Long Put Ladder Strategy? Risk is Unlimited & Reward is Limited. Lets take real prices and discuss one trade. Nifty closing spot price: 8293.00. Option prices are also closing prices. 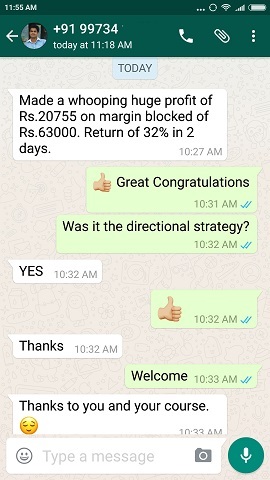 So the trader pays money to trade this: 7700-9860 = -2160. Note: Ideally the ladder trades are played in a situation when the trader gets a credit to trade this strategy. It is because, if his view is wrong and all the options expire worthless, he still gets to keep some money. 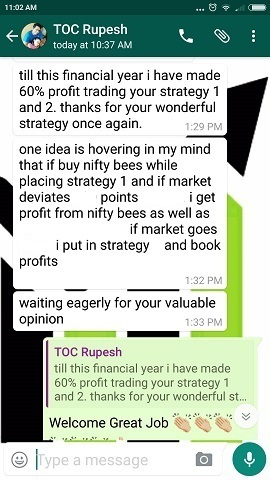 Go back to the long ladder strategy and see that there the trader was paid a credit to trade the strategy. 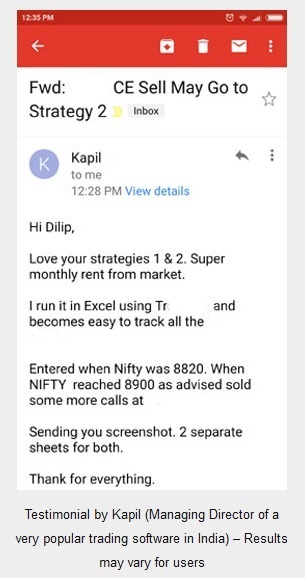 Though less it makes sense to trade this strategy only when you are getting a credit. However if your view is very strong, you can trade even with a debit. 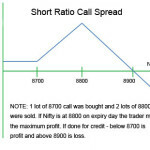 If you look at the trade closely it is actually a put debit spread with one extra uncovered sold put option. This one extra uncovered put is sold to reduce the cost of buying the ITM put. Usually in the money options are very costly – so the traders look for ways to reduce the cost of buying an option. This is one of the ways. One more point. It gives a sense of protection too. Because the trader is not selling an option totally unhedged. There are two sold options hedged by 1 bought in the money option. This in the money option will have delta more than any of the sold options. Unfortunately it is still not enough delta to save the trader if an unexpected fall comes through very fast. If that looks complicated please do not worry. In simple language if Nifty falls the trader is protected to some extent till Nifty reaches 8200 – this is where his worries will begin. Any fall further will be damaging to the trader. Here is where he should take a stop loss. He will still suffer a loss if the expiry is not near, but the loss will be small. Fall after 8200 will escalate the losses fast because 8200 will become in the money. 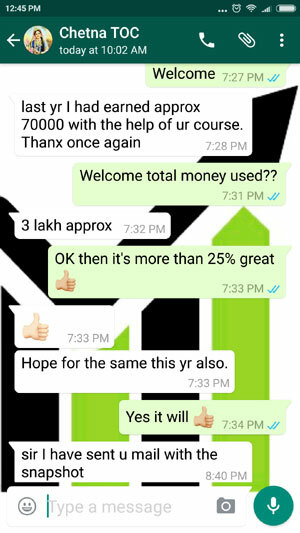 Now after this discussion lets see his profit and loss on the expiry day. All options expire worthless. The trader loses the initial investment of 2160. Anything above the result is same. ROI: For selling 1 lot of 25 shares approx Rs. 13,000 is blocked. For buying 8400 put slightly less money will be blocked as the trader has some sold options too. Assuming 6000 blocked. 104,000 + 6000 = 110,000 blocked for this trade. As you can see the results are same as expiry at 8300. But drop from here onwards will be costly for the trader. Let’s see. Total loss: 30140-24770-17530 = -12160 (Note that the loss is Rs. 10,000 more than expiry at 8100. Similarly you can guess the loss if Nifty falls further). A good trader NEVER wait tills expiry especially in the trades where he can face unlimited losses. He will surly take a stop loss or do an adjustment to the trade. He knows that sitting on hope is not good way to trade. Therefore I had written that he expects the volatility to decrease. He has sold 2 options and bought one. So if the volatility decreases, he will profit fast from the sold options to bring down the cash paid to buy the ITM option. This happens especially if Nifty moves up a little or consolidating and volatility drops. In that case he may exit the OTM sold option if he thinks there is nothing much left in that option. He may choose to exit the ATM sold option too if there is a huge drop in volatility and he is making a good profit on that. If this happens the trader will reduce the cost of buying the ITM option drastically. Essentially now he can wait for the unlimited profits that may come from a huge fall in Nifty because he has now no more short options left. This is called smart trading that you must try to accomplish as a trader if the goal is to become a good trader. Of course if there is a reasonable profit in the whole trade after sometime he will exit from all the three options. But you should not trade this with the above in mind. Every trade may not result in the same way. It is experience and education that helps determine what needs to be done with the bought and the sold options. Sometimes even after taking the profits from the sold option a trader may have made more had he not bought them earlier in profits. Some people may not agree to this as they may say its timing of the market. No its not. Once the volatility drops or Nifty inches higher which brings profits to the sold option – its all nothing but simple math’s. Now you just need to calculate the profits from the sold option to see what is the max loss on the trade. If you are comfortable with that max loss now left for the trade, you can take the profits out from the sold options. Since the loss now will be limited. If Nifty falls, great you make profits from ALL options, else you may have to be satisfied with the loss that you were ready to take anyway. Note that this loss may be more than the initial credit made for the trade, but still much less than had you bought the ITM option unhedged. Have you ever traded a ladder? If yes it will be great to hear from you. Please do drop a line or two in the comments section. Good one Dilip! way to go! !